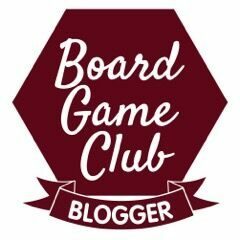 If you saw our Insta-Stories last week just before I headed off to the BlogOn conference, you will have seen it. It is HUGE. 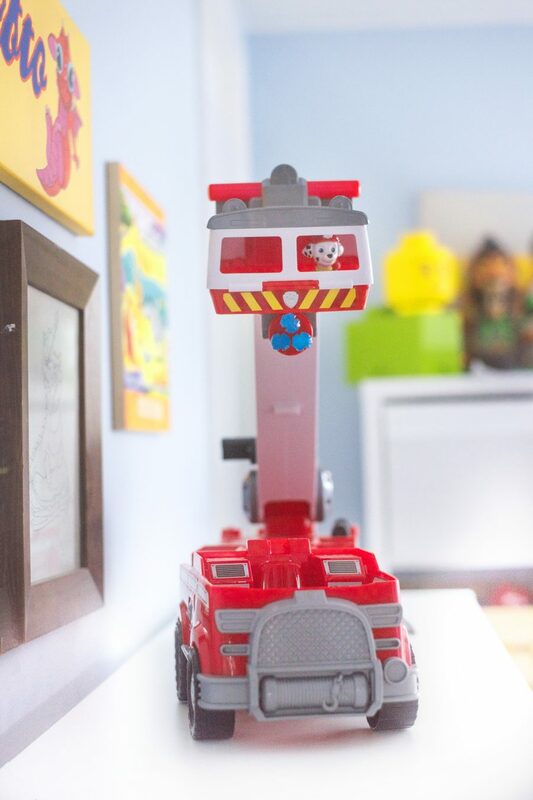 The Paw Patrol Ultimate Fire Truck Playset arrived whilst Jens and Yotie were at school and so Hero and I had an afternoon to play with it and figure it all out. It’s pretty awesome. And huge. Did I say how big it is? So big. Bigger than the original Paw Patroller even. Hero is a Paw Patrol fanatic. 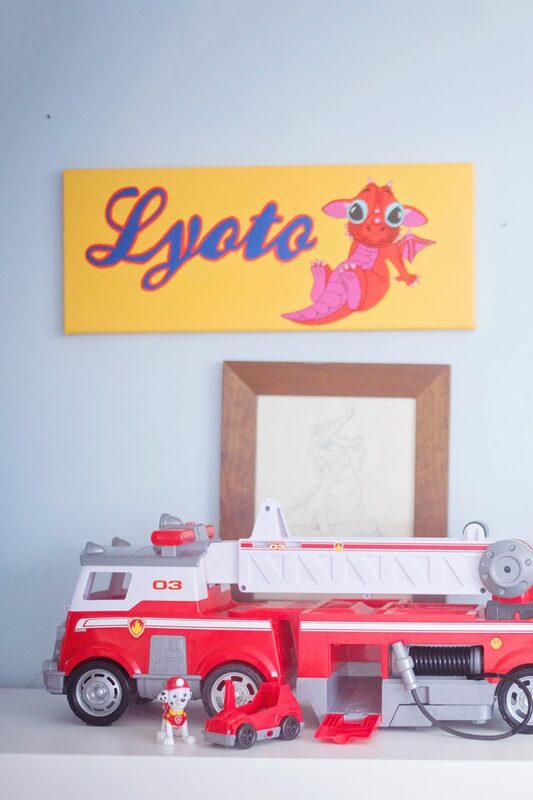 He has clothes, toys, stationery of them and often wears ODD Paw Patrol socks so that he can wear more of the characters each time he goes out. His favourites are Rubble [on the double] and Chase [on the case], and I have Rocky [I should really know what he says shouldn’t I?] as my favourite apparently. The pups have so many different adventures and we’ve seen quite a few vehicles come into the house for them to use, but this one was oh-so-much-more impressive than the others. Pups can sit in the lookout cab, use the water cannon launcher underneath, the water cannon at the back of the engine, climb the ladder, or even take the mini Fire Cart out with the hose pipe to save the day. There’s a working extendable claw arm too! That all 6 pups can fit onto the truck! 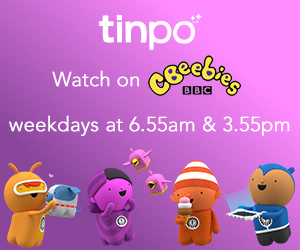 That’s a first for a Paw Patrol vehicle which means that the Paw Patrol are listening to their little fans – even though Jens is keen to point out that Ryder only chooses a couple of pups each episode to take part, Hero wants them all onboard. That there are little stabilisers underneath the truck. At first I didn’t think anything of these – and then the truck toppled onto my already dying laptop and I quickly showed Yotie how to pull them out for the future. The truck is HUGE. 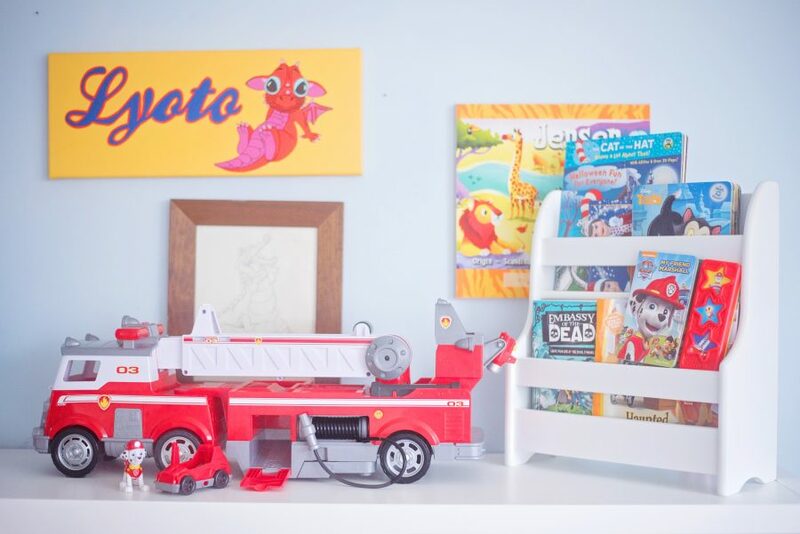 That there’s so much to do on the truck – so many working parts that are fun and really add to an adventure instead of just transporting the pups. We had a bigger house. 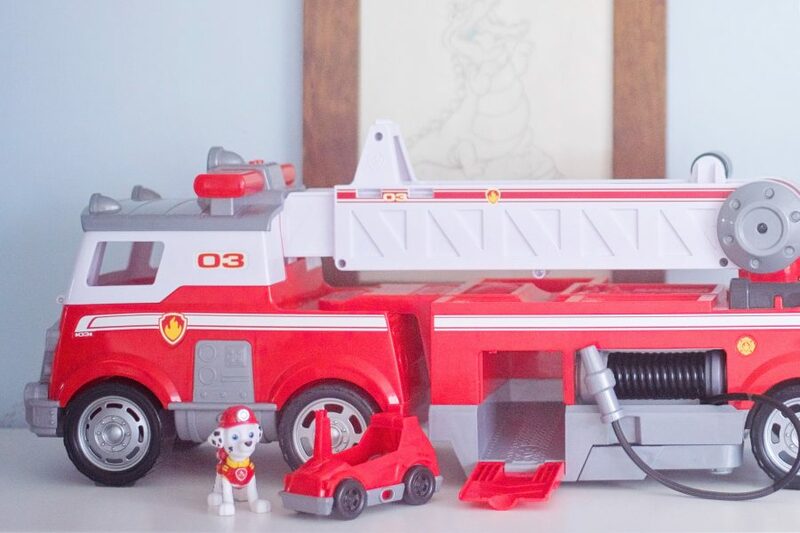 The Paw Patrol Ultimate Fire Truck Playset is pretty big, but it needs to be. So we need a bigger property. Haha. 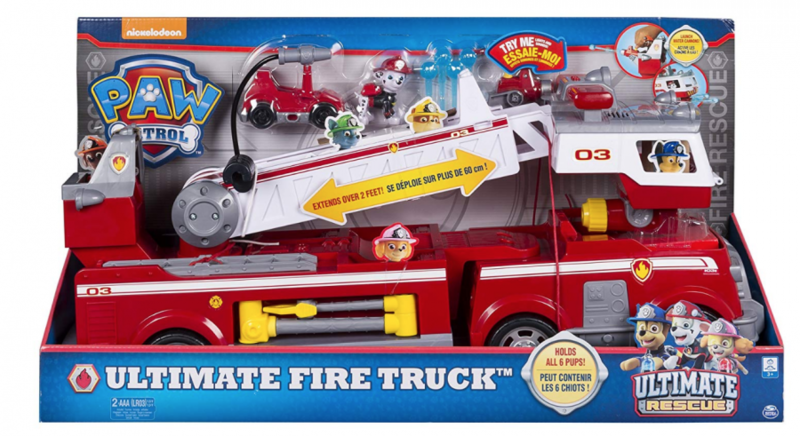 This is going to be a huge hit with every little Paw Patrol fan. It’s the best vehicle by far, and well worth the money.